There's headline news this week when it comes to the cosmic lineup. Not only will we experience a rare event with Venus, but we'll also endure the "testiest" day of the year. Thankfully, by week's end, Mercury will turn direct! See what's in store for you personally with a 30-Day Astrology Forecast, and here's the lowdown on the key cosmic events the week of Nov. 4-10, 2013. 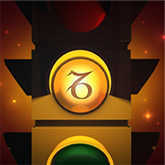 On Tuesday, love planet Venus will enter the most cautious sign of all: Capricorn. 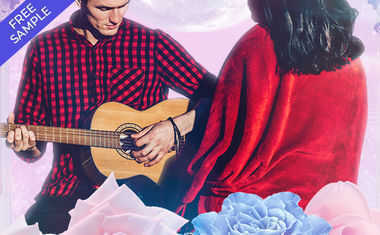 Love will take a sober tone with Venus in Capricorn, and everyone will feel a heavier sense of responsibility when it comes to matters of the heart. Whether you're single or attached, this may be a time you sense a yellow light around your heart. Like a traffic signal, it's warning you that it'll soon be time to stop. If you don't slow down now, you might experience frustration or even heartache in the coming weeks. Venus will be in Capricorn for an unusually long time -- until March of 2014! At the end of December, Venus will turn retrograde in Capricorn and you can be certain the yellow light will suddenly turn red. Now is the time to begin confronting your reasons for hesitation in seeking love, giving love or committing to love. Or, if you're in a relationship, now will be the time to accept greater responsibility in your relationship and consider if this partnership is a balanced equation. But first, we'll all need to get through a little bit of icky on Wednesday. The Sun in Scorpio will be conjunct Saturn -- an annual occurrence that often brings significant tests and personal limitations. Whatever house the sign Scorpio falls in your birth chart will tell you what area of life you're most likely to experience this tribulation. Whatever it is, you'll be required to roll up your sleeves and dive into serious work mode in order to make things right. A long-lasting reward is possible -- but only if you pass the test. Are you ready? You'll have a gorgeous assist in the love department on Thursday, when Venus and Neptune embrace in perfect harmony. Love will be idealized yet real -- a rare and perfect combination! This is also the day that giant Jupiter turns retrograde, which will put is in a more spiritual and philosophical frame of mind for the next four months. On Saturday, Mars will be at a gorgeous sextile to Saturn, offering extra support to help you achieve your goals. There's drive and ambition along with endurance and patience to get to your final destination. The ride may be longer than you hoped for but make no mistake, you will reach your target. 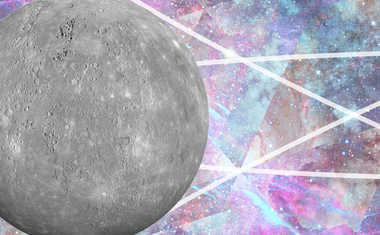 Then, on Sunday, Mercury will turn direct after having been retrograde since October 21. Slowly but surely communications will resume without frustrations, delays or mishaps.